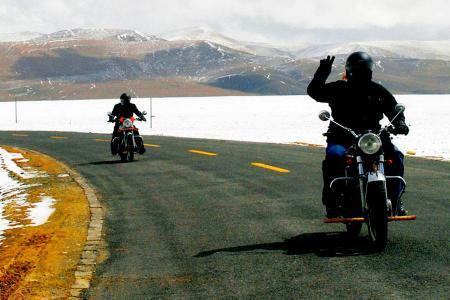 Tibet motor biking tour became one of the new and adventurous activity in Tibet. 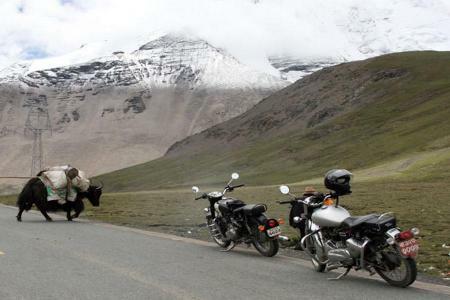 It is newly inroduced self riding tour in Tibet. This tour gives you freeding of of self driving on the Tibetan pleteau. A self drive in Tibet whether your own moto or hiring one from the region is the most scenic overland self driving on the highland road. We are now focussing this trip as a major activity because it fullfills the destiny of adventure lover and also gives an intriguing view point and life time experience driving toward the free way and exploring the Tibetan land and its culture. We recommend to have good condition motor bike and driving experience.